This exquisite limited edition print features a number of stunning images that captured special moments and scenes in F1™ history. 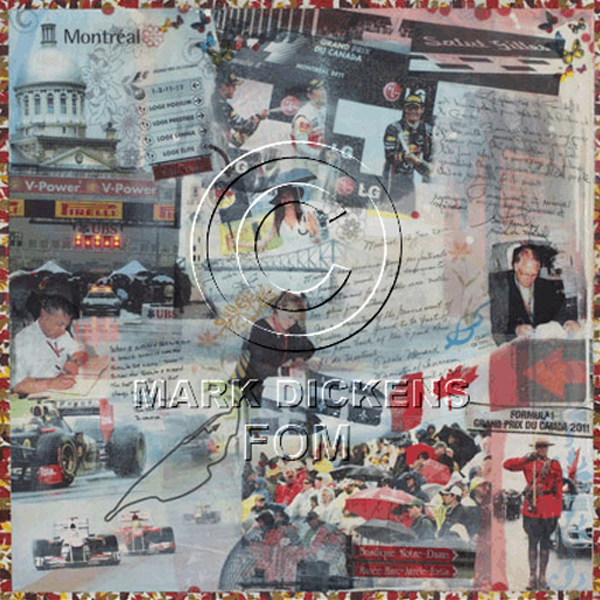 This print shows: Francois Dumontier – President Grand Prix du Canada, Gerald Tremblay – Mayor of Montreal and Nicole Menard - Minister of Tourism writing their individual collaborations, Jenson Button, Sebastian Vettel and Mark Webber celebrating on the podium with champagne, the busy Montreal grid during rain delay and a Mountie policeman proudly flying the Canadian flag. Mark Dickens made sure to represent the interesting Canadian architecture by featuring incredible images of iconic Montreal landmarks including the Olympic Park Biodome, the Bonsecours Market Building and the Jacques Cartier Bridge. 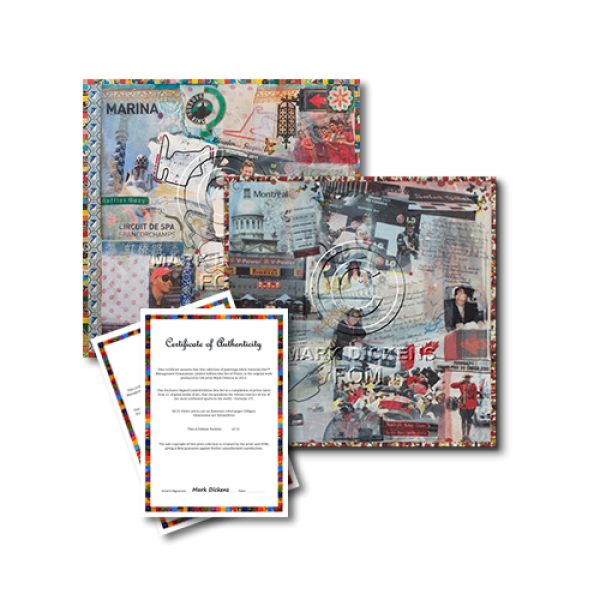 Pieces of local fabric from the city of Montreal were also cleverly incorporated to create a unique border around the print. The original painting was presented by a representative from Formula One™ Management to Francois Dumontier, President of Grand Prix du Canada, during the Montreal Grand Prix race week, season 2012.